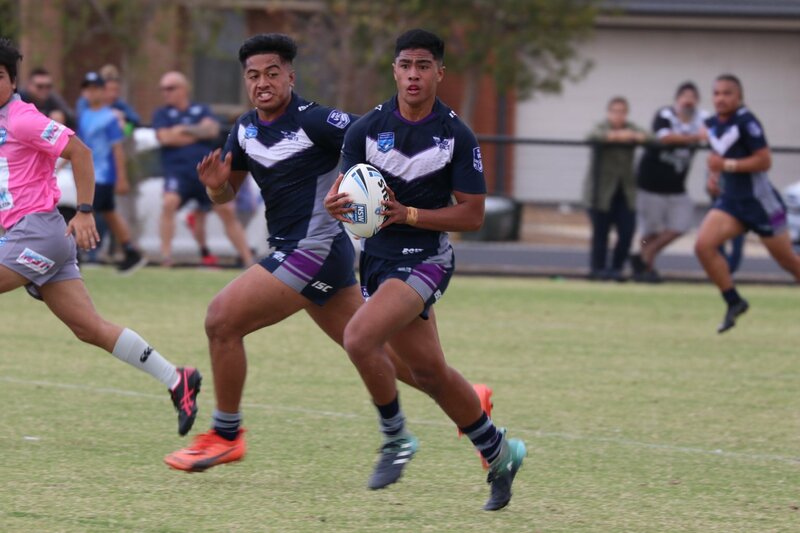 2019 marked the return of the Victoria Thunderbolt’s under 18’s to the NSWRL, SG Ball Cup. The Thunderbolts spent the last four seasons competing in the QRL Mal Meninga Cup, where they finished as high as sixth. This year the Thunderbolts were extremely competitive and finished 14th out of 17 teams. They had two impressive wins which came in their last two rounds and pushed many of the higher ranked sides. Round one saw the Thunderbolts host eventual Minor Premiers, Manly Sea Eagles. The Thunderbolts pushed the them all the way, going down 18 to 30 in the end. The Thunderbolt’s second half was a highlight, as they outscored the Eagles four tries to two. In round two the Thunderbolts took on the Central Coast Roosters at home. The Thunderbolts got off to a good start, leading 12 to 6 after 23 minutes, however the Roosters showed their class in the second half. The final score was 16 to 38 in the Roosters favour, with Dean Ieremia a standout for the home side, bagging two tries. Round three saw the Victorians travel to the spiritual home of the Canterbury Bulldogs, Belmore Sports Ground, for their first away game. The Thunderbolts played a great game and were unlucky not to take home a win. They lead for majority of the game, before a Bulldogs player crashed over for a last-minute try. The Bulldogs won 14-12 in the end, however the Thunderbolts boys held their heads high. Round four and the locals were back at Casey Fields against the Newcastle Knights. The Knights got off to a flyer scoring five tries to none in the first half. The Thunderbolts clawed their way back with two tries in the second half, however the Knights were too strong in the end. The game finished 10 to 46. 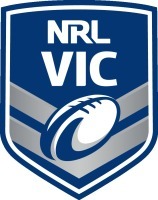 During round five the Victorians had a bye, before flying to Parramatta to play the Eels. The visitors conceded a few early tries, before pulling together during the middle of the game to pile on three tries. Unfortunately, Parramatta were too strong, winning 34-16. By now the Thunderbolts were hungry for a win and round seven nearly delivered against the South Sydney Rabbitohs. Playing at Casey Fields, the Thunderbolts played one of their best games of the season. The boys led 30 to 22 after 50 minutes and 30 to 28 with seven minutes to go. Unfortunately, the Rabbitohs scored in the 64th minute breaking the Thunderbolts’ hearts. The final score was 30 to 34 and standouts for the home side were Sione Finau and Dean Ieremia both scoring doubles. Round eight saw the Victorians travel across the Nullarbor to do battle with the West Coast Pirates. A game against the winless Pirates was the perfect opportunity to register their first win. The Thunderbolts played their best game of the season, with everything going right. Tries consistently flowed for them right up until the final whistle whilst the defence limited the Pirates to only two. The final score was 56-12 giving the Thunderbolts a well-deserved victory. Dean Ieremia and Sione Finau starred again both scoring hattricks, whilst Pita-Will Purcell was on fire in front of the goals, converting eight out of ten and claiming a try of his own. On a high from their last game and with finals out of reach, a win at home was the only thing on the boys’ minds coming into the final round. The Western Suburbs Magpies were the only thing standing in their way. The Magpies led 14 to 10 after 45 minutes and were looking strong. The home team lifted however, piling on 4 unanswered tries and finishing the game ahead 36 to 14. Pita-will Purcell converted five from six, whilst Jermaine Tui and Sione Finau scored two tries each. The win against the Magpies moved the Victorian boys up to a respectable 14th on the ladder ahead of the Rabbitohs, Magpies and Pirates. The season was full of improvement and some impressive individual performances, led to 7 players from the squad being moved up to the under 20s Jersey Flegg side full-time. Two of those boys will be playing tomorrow when they verse the Penrith Panthers at Casey Fields.